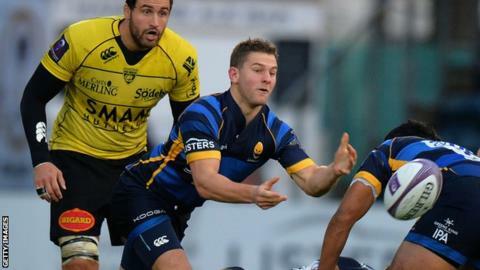 Harlequins have agreed a deal to sign scrum-half Charlie Mulchrone from Premiership rivals Worcester Warriors. The 26-year-old, who has scored nine tries in 42 appearances for the Warriors, will move to the Twickenham Stoop this summer. "We have been monitoring Charlie for a couple of years," Quins head coach John Kingston told the club website. "I am sure he will push on very quickly within our structure working alongside Danny Care and Karl Dickson." Harlequins have not disclosed the length of Mulchrone's contract. Mulchrone, who is qualified to play for England or Ireland, joined Worcester in 2014 from Rotherham Titans. "I'm delighted to be joining such a prestigious club as Harlequins," he said. "The brand of rugby is one I am a huge advocate of. "I would like to thank Worcester and will continue to give my all to the club until the end of the season."